7.28 per cent mentioned the damage to buildings as the biggest problem and 7.24 per cent, the epidemics. 29.47 per cent of the surveyed population cited all of the above-mentioned as reasons. 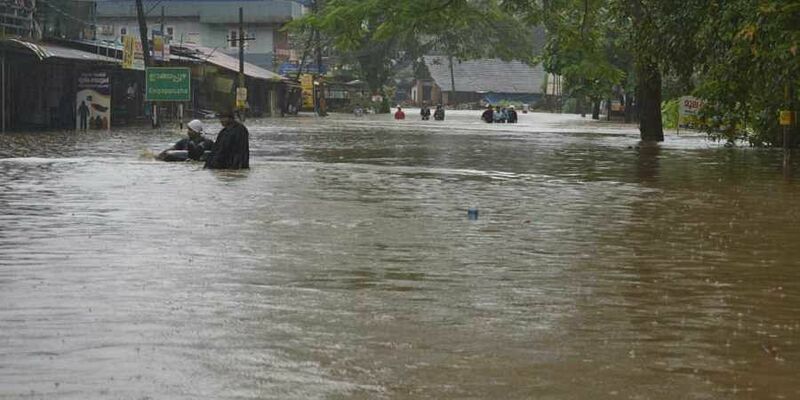 THIRUVANANTHAPURAM: 29.81 per cent of people who took part in a survey listed financial loss as the biggest and most important problem faced by the state after the mid-August floods. 9.97 per cent rooted for mental trauma while 8.97 per cent listed the death toll. The survey - ‘How and what flood-affected Kerala thinks’ - was conducted by the Kerala State Literacy Mission Authority. 7.28 per cent mentioned the damage to buildings as the biggest problem and 7.24 per cent, the epidemics. 29.47 per cent of the surveyed population cited all of the above-mentioned as reasons. The survey, which covered 1,35,104 men, 1,55,906 women and 38 transgenders belonging to 29,10,048 households in 14 districts, also underlined the importance of the media - especially the television - in activities related to mitigation of natural calamities. 86.49 per cent of people who took part in the survey said they learned about the mid-August floods through the television, internet and newspapers. 59.48 per cent of the surveyed population learned about the flood through television, 15.88 per cent through newspapers and 11.13 per cent through the internet. 6.57 per cent got to know about it through the radio and 6.94 per cent, through other means. The report on the survey underlines the need to use these media for disaster mitigation efforts and awareness campaigns in the future.